Kimi Raikkonen believes his close relationship with new Ferrari Formula 1 team-mate Sebastian Vettel will be a boost to Maranello’s efforts to return to the front of the grid. Nearly two months after Vettel agreed to join Ferrari, the Italian F1 outfit finally announced on Thursday that the German would be replacing Fernando Alonso next year. The move is one that Raikkonen is excited about, as he claimed that Vettel is the driver he knows the best in the paddock. “Obviously I haven’t worked with him before in the same team but I know him best out of any of the guys,” said the Finn. “Our relationship has been always been very straightforward and I don’t expect any changes. Raikkonen reckons he and Vettel can put their own competitive interests to one side, and actually have “fun” in their quest to help Ferrari. “I think it is nice to be with him in the same team and obviously the main objective is to get the team, Ferrari, in the position where we should be in front,” he said. 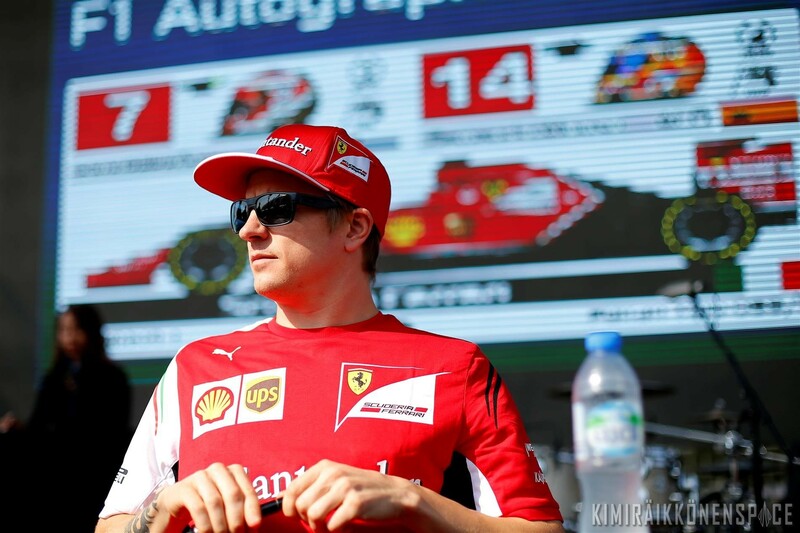 Q: (Heikki Kulta – Turun Sanomat) Sebastian, how do you see the co-operation with Kimi? Will it be easier for you than with anybody else? SV: Yes. I think he would probably reply the same if you asked him. That’s what he told me, just before! I think, yes. Why? Because Kimi is probably the least complicated driver on the grid so in terms of performance on the track, when we talk about the skills Kimi has, I don’t think there is a single person in the paddock who doubts his skills, including myself, but from a personal point of view, on a personal level, very straightforward. I don’t expect any complications because I think we have a good relationship but more so, I think we have great respect for each other which I think is always very healthy to deal with in these sorts of situations coming up.